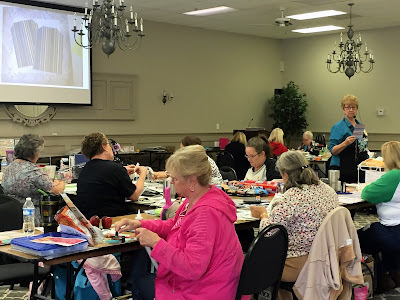 Check out all the Quick Quotes Kits from the weekend's classes. Quick Quotes Page Kits are awesome but I always look forward to the altered kits. I have taken a picture of each one of these unique and beautiful kits and one of the full size album and layout kits. 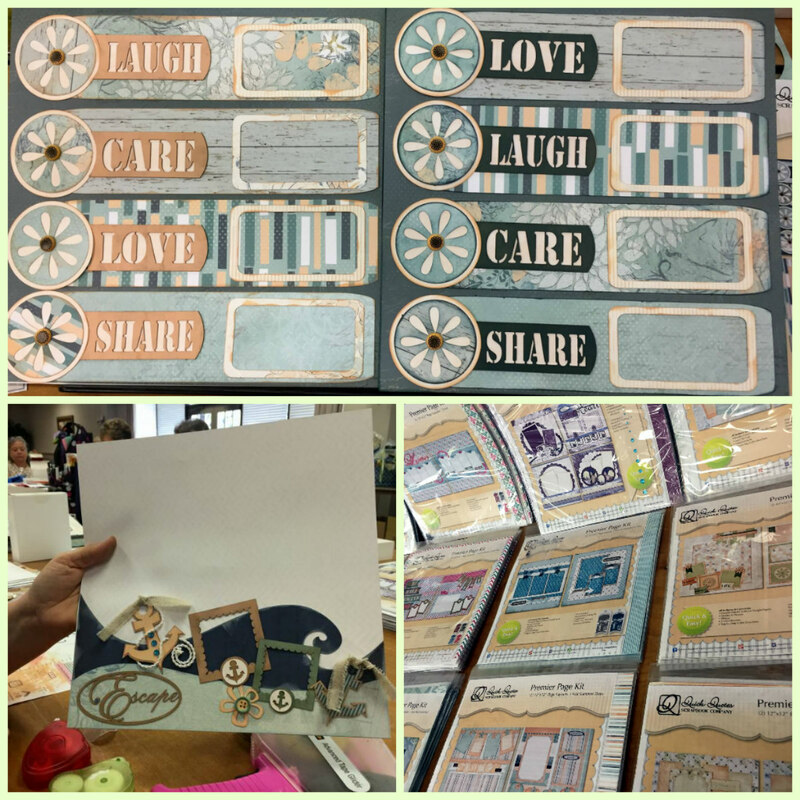 I was thrilled to use the die cut from the album insert project to create a template (Patsy's suggestion) for a paper cover for the three hole side of pocket pages! I plan on using this again and again. As mentioned above I was lucky enough to take my classes from Patsy Gaut, the creative mind behind Quick Quotes. I had taken classes from her years ago before I joined the design team. She is amazingly funny and informative. My sister has been a crafter for quite a while but as we all know family sometimes prevents Mom's from pursuing their own interest, at times for years. That being said, my sister had not been to an event in a very long time but she got right back into the groove. 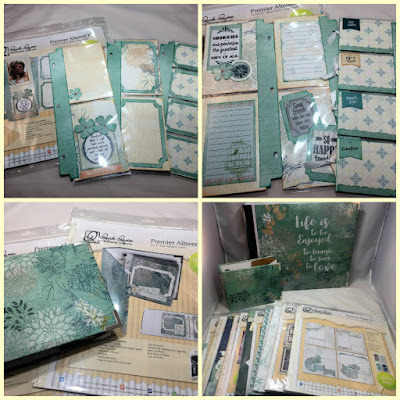 Check out our different versions of the page kit. She has all girls so she decided to ink up her chipboard lighter. I love how versatile Quick Quotes Page Kits can be once assembled. 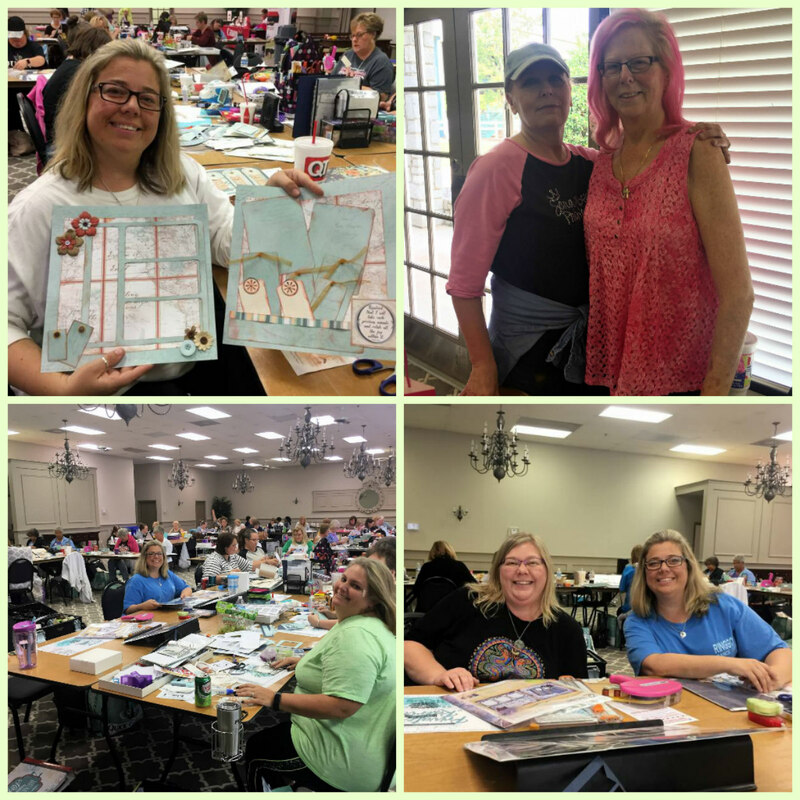 Here are some photos of my sister and another alternative version of a page kit. Also photos of us, our table mates and the volunteers. These classes can't run without these ladies, if ever you want assist with an event, Quick Quotes makes it worthwhile. Here's one final picture of all my goodies with which I came home. 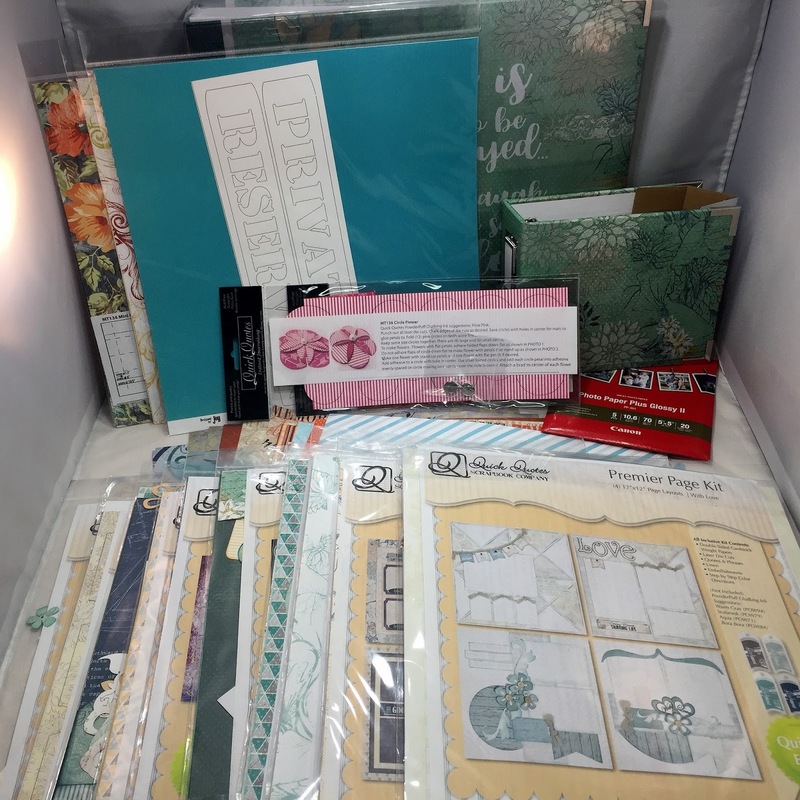 So many kits, lots of product from the crop and prizes, prizes, prizes! Thanks so much for stopping by today! Don't forget to plan a Quick Quotes Event or Workshop in 2018! It is worth every penny and if you can bring along a friend, it is a guaranteed great time.